Even if the early bird doesn't get the worm, he still gets to enjoy the splendor of a new day beginning! There's something magical about night turning back into a magnificent morning. The whole world seems to embrace a fresh start as dew drips off blades of grass and the mist swirls around the ground before fading away. 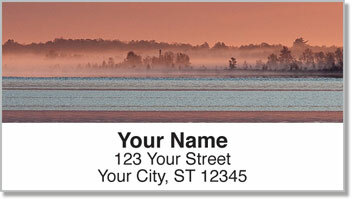 Morning Fog Address Labels from CheckAdvantage feature peaceful photographs of nature waking up with the sun. 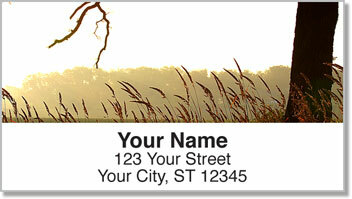 Use these return address labels to beautify your outgoing mail while saving a ton of time! A self-adhesive backing makes it extra easy to prepare letters and packages. 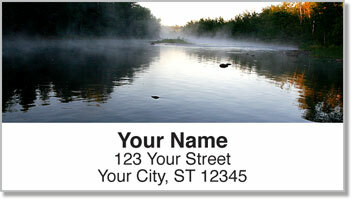 Order your own Morning Fog Address Labels today! 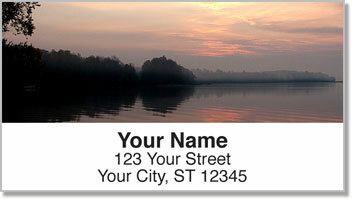 This scenic selection is also available as a set of matching personal checks.